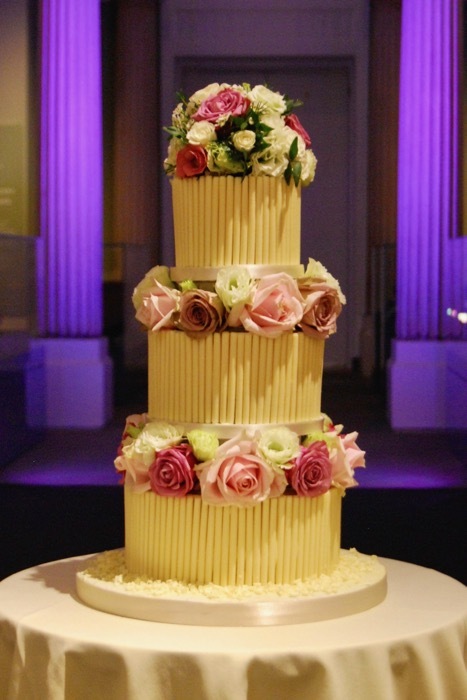 5” 8” & 11” round tiers. White chocolate cigarillos. Fresh flowers.